Starcom: Nexus Early Access Release Date Announced! You’ve finally made it out of the academy and have been given your first starship to command. Sure, it’s just a light shuttle, but you’ve got to start somewhere, right? Suddenly “somewhere” is stranded in an unknown galaxy surrounded by warring alien factions and no way home. 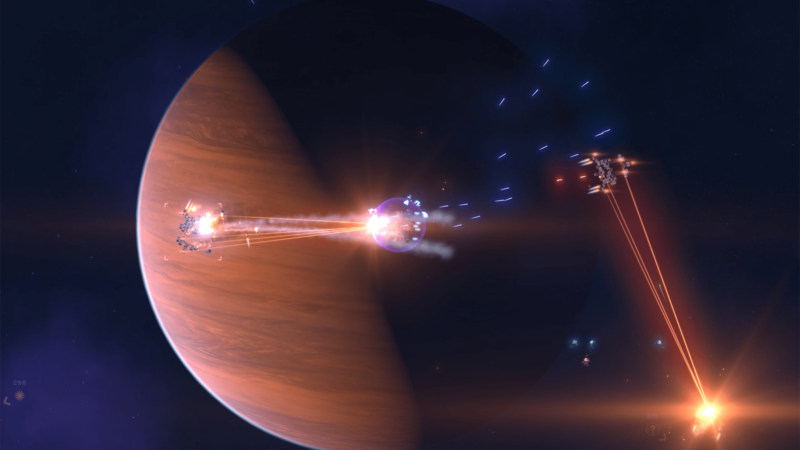 You must explore uncharted worlds, research new technologies, and transform your tiny vessel into a devastating battlecruiser to survive in this mysterious universe. Almost ten years ago, a small Flash game of space combat and exploration called Starcom spread across the interwebs like the game’s anonymous alien menace, gaining over a million plays within a few months of its release. Since then we’ve been teasing footage of a PC “re-imagining”: bigger, more detailed, pulling the player into a beautiful and strange open-world universe. The game has now been through four rounds of closed Betas and improved and expanded the content based on player feedback. Finally the game will be available to the public when it enters Early Access on December 12th, 2018. Add Starcom: Nexus to your Steam Wishlist now!